The 2014 UN Commission of Inquiry into North Korean human rights was a rallying cry for the international community to take immediate action to address the egregious nature of abuses in the country. Thanks to the concerted efforts of a transnational coalition of dedicated activists, the North Korean human rights issue is now firmly on the international agenda. Yet, perhaps unsurprisingly, the joint statement that emerged from the Trump–Kim summit in Singapore on Tuesday failed to mention human rights. For those who have been working to raise the human rights issue for decades, and especially for those North Korean defectors with direct experience of the Kim family’s tyrannical rule, this is a huge disappointment. Statements made by US President Donald Trump following the summit have also been disappointing. In the press conference given in Singapore, Trump at first equivocated, saying human rights were “discussed relatively briefly”. When pressed, he then stated that he brought up the fate of Christians in North Korea “very strongly”, and that human rights were discussed “at pretty good length”. This position, suggesting that the situation in North Korea is “tough” but perhaps not remarkable, and that on the whole Kim appears to be a beloved leader, deviates starkly from language Trump used earlier this year. Leading up to his State of the Union address in January, many expected hard-line messaging on North Korea’s nuclear program. Only months prior, Trump had even promised to unleash “fire and fury like the world has never seen” on North Korea. We need only look at the depraved character of the North Korean regime to understand the nature of the nuclear threat it could pose. This spotlight on rights quickly faded. Only weeks later, the two Koreas marched together under a united flag at the PyeongChang Winter Olympics. This set the stage for a thaw, two summit meetings between the South and North Korean leaders, and the proposal – mediated by the South Koreans – for Trump and Kim Jong-un to meet. With the US–DPRK relationship shifting from a confrontational dynamic towards a new conciliatory phase, human rights language has largely disappeared from Trump’s vocabulary. The decision this week to officially exclude human rights in dialogue with North Korea represents the reversal of a trend in US policy. For the past several years, US policymakers have increasingly recognised human rights as part of the security conundrum. The North Korea Sanctions and Policy Enhancement Act (NKSPEA), passed by Congress following North Korea’s fourth nuclear test, makes sanctions relief incumbent upon human rights improvement. It also includes measures to promote human rights inside North Korea, such as a requirement for the President to “report a plan for making unrestricted … electronic mass communications available to the people of North Korea”. The interrelationship of human rights and security has also been recognised internationally. Led by Australia, members of the UN Security Council succeeded in placing the North Korean human rights issue on the Council’s permanent agenda, arguing that the “violations threaten to have a destabilising impact on the region and the maintenance of international peace and security”. For this reason, no true security on the Korean Peninsula can be achieved without resolution of the human rights issue. 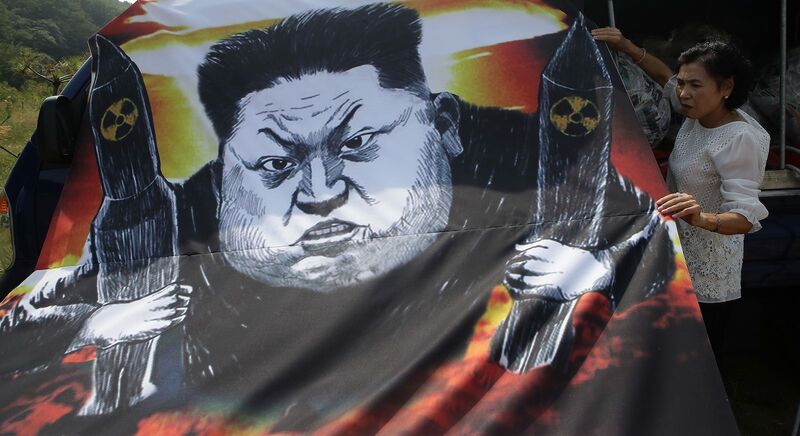 There is no doubt that the security and human rights situations on the Korean Peninsula are linked, and it is unsettling to see a tyrant such as Kim Jong-un feted on the world stage and treated as a legitimate ruler. However, it is also unclear whether raising human rights issues directly in the context of a security dialogue will have any beneficial outcomes for the people inside North Korea. Raising the human rights issue without any clear strategy on specific outcomes is risky. At the UN level, we have seen movement by North Korea on certain rights issues, such as disability rights, and this would be a good place to start. More people-to-people exchanges, training, and education initiatives, including the lifting of visa bans, could also be part of good faith dialogue. Not only nuclear strategy but also human rights strategy needs to be measured and incremental. Taking the long view, improved security relations between North Korea and the US may have the unintended consequence of weakening the regime’s internal grip: the narrative around the tightly controlled surveillance state is directly linked with the external threat of the US. It is clear that, internally, the DPRK regime has been promoting improved relations with the US as a sign of their leader’s strength. What is less clear is how the regime will continue to justify the continuation of the surveillance state in the context of any future improved relations. Danielle Chubb and Andrew Yeo are co-editors of the forthcoming book North Korean Human Rights: Activists and Networks. Joyce made headlines this week for criticising Labor on vegetation management and land clearing, but welcomed Morrison's decision to prevent the Kidman sale.